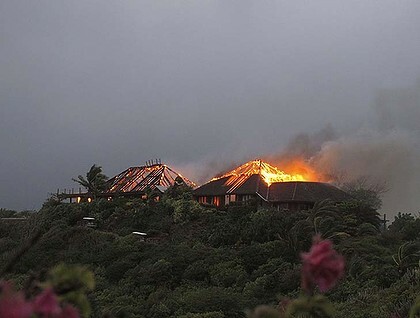 Oscar-winning actress Kate Winslet carried Richard Branson’s 90-year-old mother to safety as the Virgin tycoon’s house was engulfed by fire after a lightning storm. Branson’s mother Eve and other family members escaped unharmed after the fire broke out at The Great House on Necker Island in the Caribbean. “She [Winslet] was staying there with her children and in fact it was she who carried my mother out of the house,” Branson told Britain’s ITV News. “[She said] ‘it’s like being in a film set where you’re waiting for the words ‘cut’ but they just don’t come’,” the entrepreneur added. Branson’s 29-year-old daughter Holly was also forced to flee the flames. 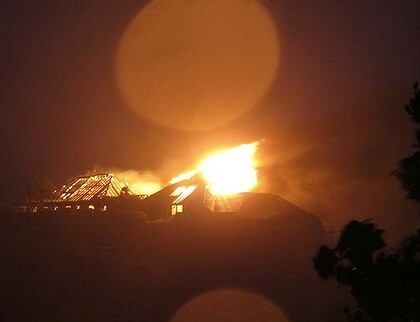 The 60-year-old founder of the Virgin empire had been staying in another property nearby with his wife Joan and son Sam when the lightning struck the main house. Tropical storm Irene is tearing across the Caribbean and was expected to dump an additional five to 10 centimetres of rain on the Virgin Islands and Puerto Rico on Monday. 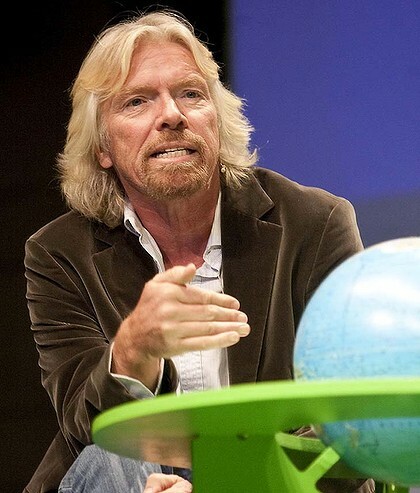 On his blog, Branson said: “We had a really bad tropical storm with winds up to 90 miles [145 kilometres] per hour. A big lightning storm came around 4:00 am and hit the house. “My son Sam rushed to the house and helped get everyone out. Kate Winslet, her boyfriend and her family were there and Holly and some of her friends were also staying. “The main house is completely destroyed and the fire is not yet completely out. My office was based in the house and I have lost thousands of photographs which is very sad. “We want to rebuild the house as soon as we can. We have a wonderful staff here and we want them to stay in work. Branson bought the island in the early 1980s. It is part of the British Virgin Islands. Each bedroom has its own balcony, king-size bed and en-suite bathroom. “Set on the top of Devil’s Hill, this beautiful house is the heart of the island,” Necker’s website says.